Black umbrella automatic GA1 with black handle, made by Fox ..
Luxurious foldable umbrella with blacktwatch and whanghee ca..
Luxurious foldable umbrella black with whanghee cane handle ..
Fox Umbrellas TEL4 whanghee cane made on a foldable steel t..
Fox Umbrellas foldable umbrella black with whanghee cane ha..
Fox Umbrellas GT1 is a handmade green umbrella with a hardwo..
Fox Umbrellas GT1 is a handmade black umbrella with a hardwo..
Fox Umbrella GT1 is a handmade navy umbrella with a Light Br..
Fox Umbrellas GT1 navy is a handmade umbrella with a hardwoo..
Fox Umbrellas GT1 green is a handmade umbrella with a hardwo.. This green Fox Umbrella GT3 is a handmade umbrella with a ma.. 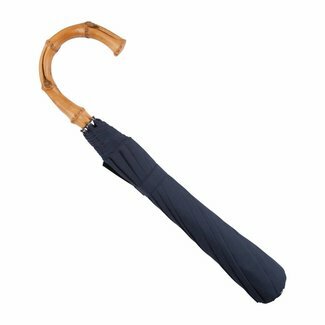 This navy Fox Umbrella GT3 is a handmade umbrella with a mal.. This black Fox Umbrella GT3 is a handmade umbrella with a ma..
Fox Umbrellas GT9 navy is a handmade umbrella with a whanghe..
Fox Umbrellas GT9 black is a handmade umbrella with a whangh..
Fox Umbrellas GT9 green is a handmade umbrella with a whangh..
Fox Umbrellas was founded in 1868, during the reign of Queen Victoria by Mr Thomas Fox. 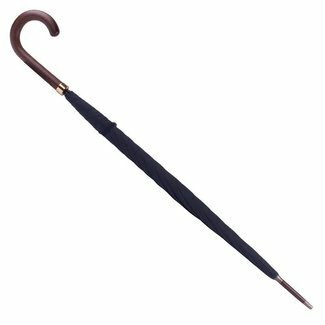 He opened up a shop on Fore Street in the heart of London, where he began making and selling umbrellas. After twelve years in business, Mr Fox sold his shop to a man named Samuel Dixon. There are no records of what happened to Mr Fox after that, though he is rumoured to have owed money to Samuel Dixon, which is why the business ended up in his hands. In the 1880’s Fox Umbrellas made a change to their manufacturing processes, with the introduction of the steel umbrella frame, designed by Samuel Fox. Despite sharing the same last name as the original owner, the two were not related in any way. Rewind back to 1848 and Samuel Fox, a wire drawer by trade, had started to make solid steel ribs at his workshop in Stocksbridge, near Sheffield. He was a master wire drawer and used his skill to produce fine quality umbrella ribs. Whilst they weren’t the first steel ribs invented, they were certainly considered the best steel ribs around. Over the next few years, Samuel Fox continued to improve and develop his ribs. After World War I Samuel Dixon’s son took over the business and went onto expand and improve its production methods, whilst still managing to maintain the quality of the merchandise. In the early 1930’s he began exporting to the US, Japan and other overseas markets, spreading the word about Fox Umbrellas to a much wider audience. During the Second World War, Fox Umbrellas manufactured flare parachutes, which introduced them to a new material – nylon. Having realised the advantages of this new invention, the Dixon family decided to use it as their umbrella covers and were the first company to do so. These revolutionary umbrellas were first shown to the general public at the ‘Britain Can Make It’ exhibition in 1947. During the same year, June Dixon came into the business and like those before her, introduced a number of new production methods and improvements to take the business to its next level. 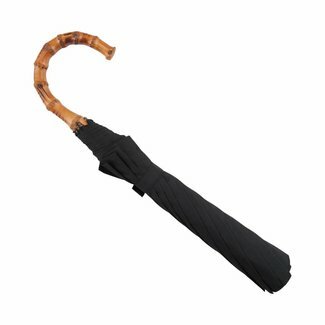 Today Fox Umbrellas is globally renowned for its excellence. Despite a name change to Fox Umbrellas Ltd, it still offers the same quality products that people have sought after from the very beginning. Over the years, the company has supplied its quality umbrellas to a number of VIP customers including the English and Japanese Royal Families, as well as the late J.F. Kennedy. They have also had their umbrellas feature in a number of films and TV programs including The Avengers, Around the World in 80 Days and Dancing on Ice. Despite being in business for over two centuries, the process of making Fox Umbrellas has changed very little. To this day, they still rely on their workers to handcraft the umbrellas and achieve great attention to detail. High quality umbrellas are what their customers have come to expect and Fox Umbrellas never fail to deliver. If you fancy treating yourself to a new luxury umbrella or are looking for the perfect gift for a loved one, there’s no better choice than one from Fox Umbrellas. 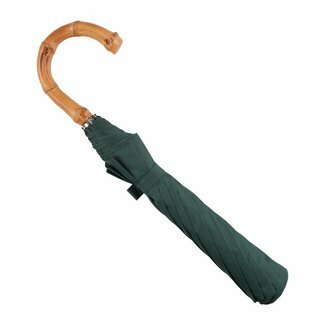 Not only do they boast supreme quality but also a timeless, elegant design that will ensure a stylish look is achieved on even the rainiest of days. 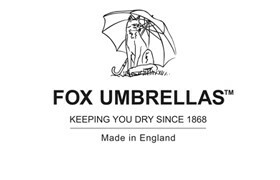 Have a browse of our Fox Umbrellas range and if you have any questions about any of our products, please don’t hesitate to get in touch. We are always happy to help!